THOMASVILLE, N.C. — Rick Ware Racing announced Friday that Spencer Boyd will race for the team in the 2017 NASCAR Camping World Truck Series. With approximately half of the schedule locked in, the team will look to add as many races as possible in both Truck and XFINITY competition. Boyd drove for RWR in his NASCAR XFINITY Series debut at Iowa earlier this year, making one other XFINITY start and three Truck starts in 2016 as well. 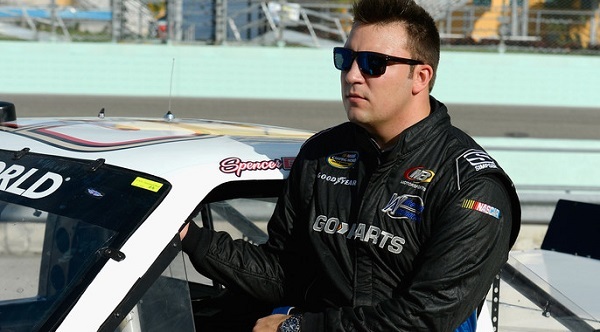 The relationship between the two parties dates back to 2012, when Spencer was running Legends Cars with Farbo Motorsports. He and Ware’s son Cody were teammates and through much of that summer, roommates as well. The Ware and Boyd families envisioned a future where the two would work together again on a bigger stage. Although the truck number has yet to be determined, Rick Ware Racing will show up with a new Chevrolet Silverado truck for Boyd’s Daytona debut.